UK trademark law has been significantly harmonised with that of the other jurisdictions of the EU during the past 20 years. In that model, strong rights are given to the first to register a mark (though some rights remain for a prior user of an unregistered trademark in the UK who has established business goodwill represented by the trademark). Further, the trademark offices conduct limited examination of applications and instead place the onus on the trademark proprietor to police the trademark register as well as the marketplace. With the UK currently negotiating its exit from the EU, there is no suggestion of the UK adopting anything other than the European model of trademark registration in the short to medium term. In essence, if and when the UK leaves the EU, substantive trademark law will remain closely similar to that found in the rest of the EU. The UK Intellectual Property Office (UKIPO), based in Newport, Wales, is responsible for administration of the UK trademark register as well as policy issues relating to intellectual property for Her Majesty's Government. The UKIPO is an executive agency of the Department for Business, Energy and Industrial Strategy. It collaborates with the EU Intellectual Property Office (EUIPO), which is responsible for administration of the EU trademark register, and the World Intellectual Property Organization (WIPO), which has similar responsibility for the international trademark register. Nominet is the UK's domain name registry, which is responsible for the management of country code top-level domains ending with .uk. Companies House is responsible for the registration of companies in the UK. Set out below are the key legal bases for the protection of trademarks and similar indicia of corporate identity. Registration is obtained by the methods outlined below, in Section III. Unregistered trademarks are protected by the law of passing off, which is described in Section IV.iii. Well-known marks are protected by the Trade Marks Act 1994. They are given a status equivalent to registered trademarks and that status would be particularly useful in protecting marks that are known in the UK but have not been used or have not generated goodwill in the UK. However, proving that a mark is well known is onerous and there is relatively little case law. Obtaining or using either a trade name or a business name gives no cause of action against later third parties as such, unless the requirements of the law of passing off or registered trademarks are met. Broadly, these may be registered as collective or certification marks, or even as ordinary trademarks. They may also be protectable under the law of passing off. There are provisions of EU law (Regulation 2081/92 on the Protection of Geographical Indications and Designations of Origin for Agricultural Products and Foodstuffs), which provide specific protection for indications that have been granted the status of protected designation of origin (PDO) or protected geographical indication (PGI). Applications in the UK should be made to the Department of the Environment, Food and Rural Affairs. c an application filed at WIPO to obtain an international registration designating either the UK or the EU. The focus of this chapter is on procedure before the UKIPO. The official fees for a UK trademark application are £170 (assuming the application is filed online), and an additional £50 for each class of goods or services covered in addition to the first. The application should set out the mark applied for (in jpeg format if a logo element is included), the goods and services specified, set out in class order, according to the Nice Classification, and the name and address of the proprietor (including state of incorporation for a company). An address for service in the European Economic Area must also be provided. When an applicant claims priority under the Paris Convention, it should include basic details of the priority applications, but it is not necessary to supply a certified copy of the priority application unless requested to do so by the UKIPO. If a logo mark is shown in black and white, the UKIPO will not consider these colours to be a feature of the mark unless there is an express indication in the application to that effect. Sound marks may be acceptable where there is, for instance, musical notation clearly describing the mark; however, the UKIPO (pursuant to Directive (EU) 2015/2436) has proposed that from 1 January 2019 it will show greater flexibility (e.g., accepting sound marks recorded as MP3 files), but it has not yet issued its formal practice direction on these issues. Moving image marks are acceptable and may be represented by a series of images, clearly described. This declaration applies to both UK trademark applications filed at the UKIPO and international applications designating the UK filed at WIPO. Although this declaration is not tested or examined by the UKIPO, any application or registration may be opposed or sought to be declared invalid by a third party on the basis that the application or registration was obtained in bad faith, where the applicant did not have the requisite intention to use (see Section VI.ii). Once an application has been filed at the UKIPO, a filing receipt will be issued promptly and the application will be examined within three to six weeks. If no objections are raised, it will be published in the Trade Marks Journal. Publication opens a period of two months (extendible by one month at a potential opponent's request) during which third parties may oppose registration. If no oppositions are filed, the application should proceed to registration within approximately five months of filing the application. The process and timeline is very similar for an international application designating the UK. It should also be noted that applications filed at the UKIPO (but not at the EUIPO or WIPO) may also seek registration in respect of a series of marks, that is to say variations of the mark (where those variations do not include differences in distinctive character). A maximum of six marks may be included in a series (with additional official fees of £50 for each of the third to sixth marks in the series). If the UKIPO holds that one of the marks does not constitute a series (i.e., it differs in its distinctive features from the other marks), that mark must be deleted in order that the others may proceed to registration. one where the application has been made in bad faith. Most objections will be raised in respect of categories (a) to (c), above. The Manual of Trade Marks Practice sets out the UKIPO's approach to certain categories of marks but, in recent years, emphasis has been placed more on assessing each mark on its merits and less on a particular category of mark. For instance, it used to be the case that common surnames were considered prima facie unregistrable and the number of examples of any given surname in a UK telephone directory was considered a relevant rule of thumb in assessing registrability of a surname. That type of approach is now out of favour. Nevertheless, the Manual still indicates that names of famous people will require careful assessment. A famous name is more likely to be held to be unregistrable, particularly for goods such as posters or other image carriers, but each case will be assessed on the facts. If an objection is raised under category (a) or (b) above, the applicant will be given two months to provide submissions or evidence in response. That period can be extended upon request for good reason. It may be appropriate to seek to overcome the objection by providing evidence of how the word is used in commerce, or technical explanations if either the word or the relevant goods are technical. Alternatively, an applicant may seek to argue that the mark has acquired distinctiveness through its use. The applicant will need to provide evidence to support that argument. As a rule of thumb, at least five years' use of a mark, across the majority of the UK, would be required to put forward a reasonable argument for acquired distinctiveness. A shorter period may suffice if, for example, there has been high-profile advertising. If the word applied for is particularly descriptive, evidence of the applicant's use on its own may not be sufficient and it may be helpful if third-party evidence is obtained as well, such as how the mark is used in the media. In practical terms, the UKIPO requires evidence to be filed in the form of a statement by a relevant witness, such as a director of the applicant, and exhibiting relevant documents. An objection raised under categories (c) to (h) above (including objections relating to the shape of the mark) may not in law be overcome by acquired distinctiveness. The UKIPO will not of its own motion raise any objection to an application on the basis of any conflict with an earlier trademark or other right (except, for example, emblems of Paris Convention countries, etc., as described above). The UKIPO does, however, conduct a search of the UK trademark register, the EU register and the international register (if the UK or EU is designated). If any conflicting mark is revealed, it is forwarded to the applicant for information. A period – typically two months – will be set for the applicant to confirm whether it wishes to limit its application or withdraw it (in view of the prior right revealed), seek consent from the prior rights owner, or seek to persuade the UKIPO that the conflicting right has been incorrectly raised. If the applicant makes no response, the UKIPO will, after that period, permit the application to proceed to publication in the Trade Marks Journal, and that publication opens a period of two months during which third parties may oppose the application if they so wish. At the same time, the UKIPO writes to the prior rights owner (if the prior right is a UK trademark or a UK designation of an international trademark) alerting the owner to the publication of the application (in case a possible conflict should be found at a later stage). Under current practice, it is much less common for an applicant to seek express consent from the proprietor of an earlier conflicting trademark or to seek to persuade the UKIPO that in fact no conflict exists, at the examination stage. It is more likely that this type of conflict will be addressed in any later opposition proceedings, either in a decision by the UKIPO or in settlement discussions alongside those proceedings. It should be noted that whereas the UKIPO conducts a search of UK trademarks, EU trademarks and international trademarks (designating the UK or EU), and while these properties may form the basis of a third-party opposition, these are not the only rights that may be relied upon in opposition proceedings. An opponent may also rely on any other earlier right, including a copyright, design right or registered design with effect in the UK or any rule of law. The most common rule of law relied upon is the law of passing off. An opponent here may claim that it is the prior user of a mark, such that the opponent has established goodwill represented by the mark, before the filing of the application, and that the use of the mark applied for (since it is, for example, confusingly similar, for similar goods) would amount to a deceptive misrepresentation liable to damage the goodwill of the opponent. Note that the opponent does not seek to pursue a claim for passing off as such (which would need to be brought in the courts), but, instead, seeks to argue that registration of the later mark should be refused because its use would amount to passing off. Any party may oppose registration of a trademark on the grounds that it does not meet the inherent registrability criteria. The proprietor of an earlier trademark or other earlier right may also oppose registration on the grounds of its right. In the standard procedure, an opponent is required to file form TM7 and pay a fee of £200. If the rights relied upon are registered or pending trademark rights, it may be sufficient to outline the details of those rights and claim that the use of the applicant's mark will result in a likelihood of confusion or dilution. If the earlier registered trademark rights are more than five years old, it is necessary to state in respect of which goods or services the earlier trademark has been used. In practice, it is possible to indicate that this information will follow and can instead be provided in response to the UKIPO's indication of deficiency in that information. If other rights are relied upon, such as an earlier passing-off right, more detail is likely to be needed, such as when the mark was first put to use, in what geographical area and in respect of which goods or services. The UKIPO will examine the form TM7 and notice of opposition and, if it is acceptable, will set a period of two months for the application to file its counterstatement on form TM8. The counterstatement will respond to the pleaded grounds of opposition, either admitting or denying them or putting the opponent to proof and, where relevant, pleading its alternative case. upon filing of the applicant's evidence, a further period of two months for the opponent to file any evidence or in reply. Each of these evidence periods can be extended upon request and for good reason. Any request must clearly specify what action has been taken to date to meet the deadline, why further time is needed (i.e., what further action needs be undertaken) and how long that will take. In practice, in the absence of very good reasons, the UKIPO is unlikely to extend any deadline by more than one month. Once the evidence stages of the proceedings are closed, the parties may agree for a decision to be made by a hearing officer from the papers on file; an opportunity for the parties to provide written submissions will also be provided at this stage. Alternatively, either party has a right to request a hearing. This may be held in person but may also be held by video link with the hearing officer in the UKIPO's Newport office. A decision is likely to be issued within 12 months of the filing of the opposition refusing the application, partially refusing the application or rejecting the opposition. The hearing officer will also make an award of costs in the prevailing party's favour. The level of the award is taken from a limited set scale and is not intended to fully compensate the prevailing party for the legal costs incurred. A typical award may be in the region of £1,500 to £2,000. It should be noted that the initial deadline set for the applicant to file a counterstatement can be met by the parties instead consenting to and filing a request to enter a cooling-off period. This is for an initial nine months (which can be extended to 18 months) and postpones the evidence stages of proceedings. There is a more streamlined fast-track procedure, which may be suitable for some earlier trademark proprietors, particularly if they have pre-prepared evidence of their use of their mark to accompany the initial notice of opposition. The same basic procedure is provided for a post-registration application for a declaration for invalidity, which may be sought on any of the grounds that could have been pleaded in opposition. A similar procedure applies to a post-registration revocation on the grounds that a mark has not been put to genuine use within five years of the mark being registered, or that the mark has become generic. It should be noted that an application for a declaration of invalidity or an application to revoke a registration may be brought in the courts as well as the UKIPO. The UKIPO proceedings again have a limited cost award regime, so bringing a case in the courts is likely to be more expensive, but with a greater opportunity to recover more of the legal costs incurred during the proceedings. Decisions by the UKIPO may be appealed to the High Court of England and Wales, or to the Court of Session in Scotland, or to the High Court in Northern Ireland. Of these, the High Court of England and Wales (High Court) is used most frequently. Decisions by these courts may also be appealed further to appellate courts. Generally, none of the aforementioned courts will rehear a case, but will instead review the UKIPO decision. That means that there is a high hurdle for any party to clear in filing additional evidence at the appeal stage. Costs orders issued at the end of any appeal are not taken from the UKIPO's limited set scale but, instead, are issued in accordance with the Civil Procedure Rules (CPR) and are intended to compensate the prevailing party to the extent that its legal costs have been proportionately and reasonably incurred. As an alternative to the court system, a party may appeal a UKIPO decision to an 'appointed person'. This is a tribunal, established by statute, consisting of a small number of leading trademark practitioners (typically barristers and academics) designated as appointed persons, who sit individually to hear appeals. Although appointed persons have broadly the same powers as the High Court on appeal, the tribunal is intended to be a low-cost forum. On that basis, costs orders that may be made in the prevailing party's favour are again made on a set limited scale. Decisions made by an appointed person are final and, accordingly, there is a power for cases of general legal importance to be transferred to the courts. For cases with a value of under £10,000, the small-claims track of the Intellectual Property Enterprise Court (IPEC) (a specialist court within the High Court) provides a useful venue. No costs awards may be made on this track, but injunctions and other similar remedies may be available to the successful claimant. This track may not be suitable for cases of any complexity. For cases with a value of up to £500,000, the multitrack of the IPEC is available. The Court's procedures are designed for small and medium-sized enterprises (SMEs), in that it has powers to limit the scope of the disclosure process and the number of witnesses. It is intended for cases that may be decided in a trial lasting typically two days. A particularly attractive feature of the IPEC's process is that, with rare exceptions, the maximum award in costs that may be made after trial is £50,000. This gives a good degree of certainty to parties as to what their liability may be in the event that a case is lost. The High Court is the traditional home for intellectual property (IP) cases of any size. There is no cap on the value of cases that may be brought in the High Court and it has the greatest capacity for long trials, with significant disclosure exercises and witnesses. It is the most appropriate venue for the most complex cases. There is no costs-capping regime. The parties must, however, provide a detailed budget for the case fairly early in the proceedings but the budget itself can be expensive to prepare. It would not be unusual for legal costs in bringing a trademark case to trial to incur costs of at least £400,000. The High Court recently piloted and has now made permanent a 'Shorter Trials Scheme'. This scheme is intended for cases with a trial of no more than four days. The Court exercises powers akin to those in the IPEC, where disclosure or witness evidence may be controlled or limited. There is no requirement for budgeting, nor is there a costs-capping regime. It is intended that the limits and controls on procedure, and the expeditious processing of cases to trial (typically around 10 months), will reduce costs overall. The Practice Direction on Pre-action Conduct is set out in the CPR.4 This specifies that, in the absence of special circumstances, a claimant should approach the defendant and set out the details of the complaint before any court claim is issued. If this requirement is not complied with, the claimant may later be penalised by not being granted as high an award of costs as it otherwise would (even where it is wholly successful in the substance of the claim). In some areas, however, such as personal injury claims, there are additional protocols that set out in fuller detail the precise steps that must be taken before a claim is issued. There are no protocols in IP cases, mainly because the law of unjustified threats historically made it difficult to draft pre-action protocols mandating that a claim be set out in detail to an alleged infringer when the law of unjustified threats made it potentially actionable for a complainant to threaten to sue in respect of certain acts. The law of unjustified threats was reformed in 2017, so it may be that there will be a return to the question of whether it is possible to specify detailed protocols for pre-action conduct in IP cases. It should also be noted that Part 36 of the CPR5 provides a formal set of rules whereby settlement offers, made in accordance with those rules, and that are not accepted, have an impact on any costs award that may be made after trial. The rules are complex, but broadly are intended to penalise a party that refuses a settlement offer on terms that are more favourable than the terms that party ultimately obtains after trial. Part 36 offers for settlement may be made prior to the issue of proceedings. b the common law tort of passing off (where it is the owner of goodwill in a business in the UK represented by its trademark). These causes of action may be brought simultaneously. For example, if a registered trademark has been used in the UK, it is frequently also the case that this use will have established a basis for a passing-off claim. There is nothing to prevent the running of both causes of action simultaneously and in many cases that may be a prudent course. There have been cases where, for example, an EU trademark has ultimately been held to be invalid by a UK court (which otherwise would have been infringed) and where the claimant was able to succeed in preventing the defendant's use of its mark in the UK on the basis of the claimant's alternative claim in passing off. Either cause of action may be brought on a quia timet basis, that is to say on the basis of infringing activity that has not yet taken place. Either action may be brought to prevent third-party use of a trademark, trade name, company name, domain name, get-up or any other indicia or sign used in the course of business in respect of a good or service. blur or erode the distinctive character of the registered mark. that such misrepresentation would be liable to lead to damage to the claimant's goodwill. Companies House administers the registration of companies in the UK. Rules provide that a new company may not adopt a name that is identical to the name of an existing registered company or one that is very similar (according to specific narrow rules). Despite the general rules, it is possible to register a company name that (in trademark terms) would be considered similar to an existing name. It may be possible to prevent the use and registration of such a name under actions for passing off or trademark infringement through the courts. An alternative venue, however, is the Company Names Tribunal. This has a narrow remit, adjudicating on cases that might broadly be described as abusive names. It provides a useful and cheap facility to remove from the companies register any names that are obviously attempting to take unfair advantage of more famous existing companies or trademarks. A significant limitation, however, is that a complaint may be made only in respect of a company that has not yet traded under its name. Abusive .uk domain names may also be addressed through the dispute resolution service provided by Nominet. The rules of procedure are similar to the ICANN6 rules applicable to .com domain name disputes, but there are some differences. The process of a claim in the IPEC follows the following broad outline. There are variations in other courts. Issue of a claim form. This step consists of a claimant forwarding a completed claim form (a brief summary of the claim) to the IPEC and paying to the Court the issue fee. This fee may vary between £1,000 and £10,000, depending on the level of damages sought in the claim. The Court then seals (i.e., officially stamps) the claim form and returns it to the claimant. If the defendant is in the UK, the claimant now has four months to serve the claim form (along with full details of the claim, called the 'particulars of claim') on the defendant. For a defendant UK company, good service of the claim form and particulars may be achieved by posting the documents to the company's registered address. Once the defendant has been served with the claim form and particulars of the claim, it has 14 days to file an acknowledgement of service at court. (Later deadlines are determined by the particular court in which the claim is brought.) Typically, a defendant in the IPEC will have a period of 42 days from service of the claim to file its full defence. Shorter periods apply in the High Court. Once a defence has been filed, the claimant may take steps to bring the matter to a case management conference (CMC) and, where applicable in the High Court, this will include preparation of legal costs budgets for the case. The CMC may be fixed some time after the defence has been received. At the CMC, the Court will make findings as to the issues to be decided in the case and specify what disclosure and inspection of documents will be provided by the parties, what witness evidence, including expert evidence, may be filed and served by the parties and, in the IPEC, when the trial and issue of judgment shall take place. A typical period to provide initial disclosure may be one month but the parties have some latitude to agree amendments to the timetable. In the IPEC, it is more typical for the Court to order specific disclosure (i.e., disclosure of documents relating to particular issues) rather than standard disclosure (i.e., all relevant documents, both supportive and adverse to a party's case). From the point where litigation is contemplated, the parties remain under a duty to preserve documents that may need to be disclosed. After the disclosure process, evidence may then be prepared and filed in the form of witness statements, which do not have the formality of other jurisdictions, that is to say they do not need to be notarised. However, the particular format of the statement requires a 'statement of truth', and a false statement may be punishable as contempt of court. It should be borne in mind that all witnesses who give evidence may be cross-examined at trial. Trial: skeleton arguments (i.e., short summaries of the facts and legal arguments) should be filed shortly before trial along with authorities (i.e., relevant cases and legislation). At trial in the IPEC, typically one day may be taken up by cross-examination of witnesses and a second day with legal submissions and argument. Judgment is likely to be pencilled in to be issued around six weeks after trial. The overall process may take 18 months on average, but there is a wide variation since the parties to some extent influence how quickly the proceedings move to a decision. The courts have a wide inherent jurisdiction in granting remedies to a claimant who is successful in an action for trademark infringement or passing off. The following are some of the more usual remedies sought. An injunction preventing use of the trademark or sign complained of. In trademark infringement cases the injunction may be granted in broad terms (i.e., 'the defendant shall not infringe UK trademark number'). In passing-off cases, the order may be more limited, enabling a defendant to continue use of its mark if it takes sufficient steps to ensure that no misrepresentation is caused. Breach of an order, in whatever form, by the defendant may amount to contempt of court, punishable by a fine and ultimately imprisonment. Similar orders compelling the defendant to change its company name or transfer its domain name. An order to deliver up all infringing goods or articles in the claimant's possession, custody or control. An enquiry as to damages or at the claimant's election an accouer for publication of judgment. In certain circumstances, the courts may order that a defendant should publicise the judgment (on its website, for example), if it is thought that this may assist in dispelling the confusion that has been caused by the previously infringing use. The courts may also grant interim remedies before trial (particularly interim injunctions). The test for whether an interim injunction should be granted includes a number of factors but a critical one is the speed at which the claimant seeks the remedy. If the defendant has been on the market for several months, with the claimant's knowledge, that will reduce the likelihood that the claimant will be able to obtain an interim injunction. It is a criminal offence (under Section 92 of the Trade Marks Act 1994) to apply to goods or their packaging a sign identical to, or likely to be mistaken for, a registered trademark or to sell, or offer to sell, such goods. No equivalent provisions apply to misuse of a trademark in respect of services. Penalties upon conviction include fines and potentially substantial prison sentences. In principle, many acts of trademark infringement could be pursued under criminal law as much as under civil law. In practice, the criminal provisions are rarely relied upon between, or against, legitimately trading businesses. There is a statutory duty on public authorities (namely trading standards offices of local government) to prevent unauthorised use of registered trademarks. In practice, funding of these offices may vary across the country and they may not necessarily have the manpower to pursue criminal trademark cases except in the most serious matters. It is also possible for trademark proprietors to bring a private prosecution, that is to say to initiate criminal proceedings themselves rather than relying on a trading standards office. This is often an unattractive option, since the evidentiary burden is high (the case will need to be proved to the criminal standard 'beyond reasonable doubt' rather than the civil standard 'on the balance of probabilities'). Further, there will be no automatic award of legal costs, although forfeiture proceedings may be separately pursued. Regulation (EU) 608/2013 (the Regulation) provides a comprehensive procedure for customs action to prevent import into the UK or EU of goods infringing an IP right. This applies also to goods that infringe registered trademarks but not to grey goods. UK Customs (HMRC) and the UK Border Force work together in implementing these provisions. A trademark proprietor may make an application to HMRC for action under the Regulation to specify, for example, the registered trademarks that it would like HMRC particularly to monitor. This may apply to the UK only or, in an EU application, to several customs authorities within the EU. An application will need to include information such as the trademark right, with evidence of registration, a description of the relevant goods to be monitored along with any technical data permitting recognition of authentic goods, and the name and contact details of any legal representatives. The trademark proprietor will also need to indemnify the customs authorities for their costs, expenses and liabilities. There are no official fees in making the application. Where any goods are seized under the application for action, HMRC will notify the registered trademark proprietor, or its representative, and grant a period of 10 days (or three days in the case of perishable goods), during which the trademark proprietor may indicate that the goods, in its view, infringe its right, and either consent to or request destruction of the goods. The proprietor may obtain samples for assessment. If the importer of the goods provides no objection to destruction within the same 10-day period, or provides no response, the goods may proceed to destruction. If the importer objects to destruction, the goods shall be released, unless the trademark proprietor promptly issues a claim for trademark infringement in the courts. The goods shall be detained pending resolution of the court action. HMRC may also notify a trademark proprietor ex officio if it detains goods that it suspects infringe a registered trademark right, even if no application for action is in force. A similar procedure shall apply but the first step will be for the trademark proprietor to make an application for action. Set out below are some noteworthy recent decisions. 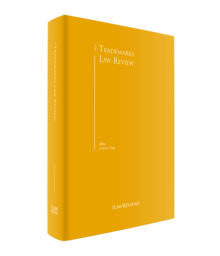 The first user of a trademark in the UK can sometimes obtain better rights to that trademark than a later registrant of the same or similar mark. This only happens, however, where the first user has generated sufficient business goodwill (i.e., trading reputation), represented by its trademark, that it could successfully sue a third party for the common law tort of passing off. The first user who could meet that criterion is known as the owner of an 'earlier right'. It is perfectly possible for a small business (which has goodwill in only a small geographical area) to successfully sue in passing off and be the owner of an earlier right. In bringing such a case, however, the court may only be prepared to grant a remedy (e.g., an injunction) for the small geographical area. This case, Caspian Pizza Limited, addressed the question of the interaction between earlier local goodwill (i.e., a local earlier right) and a later national trademark registration. The case involved competing pizza restaurants operating in different towns under similar names. While the background facts are relatively complex, the court held that the defendant had certainly proved its earlier right (through its earlier local goodwill) prior to the later registration of the conflicting mark in the name of the claimant. The question was whether the defendant's local goodwill provided it with (1) a defence to infringement only or (2) that defence plus the right to invalidate the claimant's later registration as a whole on the basis of the defendant's earlier local goodwill. There was conflicting earlier case law on this question, but the Court of Appeal confirmed that the local goodwill could be relied on to invalidate the later registration as a whole. Further, the Court held that after the grant of registration, a registered proprietor does not have power to make a geographical limitation to its registration (e.g., excluding applicability of the registration from the geographical area in which the earlier user had established its earlier local goodwill in an effort to retain the registration outside that area). This is in contrast to the situation before the grant of registration, where an applicant is entitled to seek a geographical limitation to its registered rights. 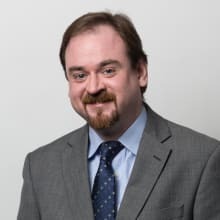 The defendant was wholly successful in defeating the claim for infringement and passing off (and in invalidating the registrations asserted against it), but it has also provided some clarification on the interaction between registered and unregistered rights. in the alternative, that Sky Plc could not have had an 'intention to use' its marks for all the goods specified, with the result that the SKY registrations were invalid as a whole, having been filed in bad faith, or invalid in respect of those goods for which Sky Plc had had no intention to use the marks. If SkyKick were successful in its validity challenges, Sky's infringement case would fall away or be very much weakened. The UK court made findings of fact that there were at least some goods within the SKY registrations for which Sky Plc had not had an intention to use at the time of filing the registrations for its marks. The court also held that terms such as 'computer software' were not, in its view, sufficiently precise and specific. Nevertheless, it held that it required a determination from the Court of Justice of the European Union (CJEU) as to whether, as a matter of law, it could declare part of a registration invalid (where the terms used were not sufficiently precise) and separately whether it could declare invalid a registration (either as a whole or in part) for bad faith, where the proprietor had not had an intention to use its mark in respect of the goods or services specified. If the CJEU agrees with the stated view of the UK High Court, there would be a seismic shift in trademark practice in the EU: trademark proprietors in the future would have to describe their goods and services with a great deal more precision and would have to be careful to ensure that they specified only goods and services in respect of which they had a real intention to use their marks. The trademark proprietor Cartier sued British Telecommunications (BT) and the five other significant internet service providers (ISPs) in the UK to obtain a 'website-blocking' order from the court. This is an order requiring the ISPs to block internet access through their services to specified websites from which goods infringing Cartier's registered trademarks were sold. In the lower courts, the website-blocking order was granted to Cartier (this was the first such order granted on the basis of trademark infringement rather than copyright infringement). This itself was not uncontroversial, since web-blocking orders for copyright infringement were specifically envisioned in statutory instruments; there were no such statutory powers for trademark infringement, but the court was nevertheless prepared to grant the order under its inherent jurisdiction. Permission was granted to the ISPs to appeal to the UK Supreme Court on the question of who should bear the costs of implementing the web-blocking order. While the administrative costs to the ISPs of blocking a small number of websites were relatively small, it will be appreciated that were the number of these orders to increase (and continue over time), the burden on the ISPs (who were themselves wholly innocent of the infringement) would increase. The Supreme Court held that the lower courts were wrong to hold that the administrative costs of complying with web-blocking orders should fall on the ISPs, and instead held that the trademark proprietor should indemnify the ISPs for those costs. The court's reasoning was that these orders were no different in principle from established orders such as a Norwich Pharmacal order (i.e., an order compelling a third party, such as HMRC, to provide information it possesses about an infringer). In those cases, an innocent intermediary is entitled to its costs in complying with an order to assist a claimant against a wrongdoer. The Court pointed out, however, that the matter might be different for a defendant that provided website hosting services (as opposed to internet access alone), since there would be a weaker argument that it was wholly innocent of the infringement in the same way as an ISP. While this appeal decision does increase the administrative cost in obtaining website-blocking orders for trademark proprietors, the case overall has established trademark proprietors' right to obtain them, and has set out clear guidelines as to when they would be appropriate. The following areas are examples of where there is likely to be future activity relevant to trademark proprietors. The UK has taken significant strides towards implementing this EU Directive, which aims to update and reform trademark law across the EU. The UK government conducted a consultation process in the first half of 2018 and in July 2018 issued the Trade Mark Regulations 2018 (which come into force on 14 January 2019). The UKIPO has not yet issued a practice direction on what it will now require in practical terms to fulfil this new criteria, but in its public consultation it did express the view that, for instance, an MP3 file recording would satisfy the registrability requirements for a sound mark. A further change worth noting (though not yet in force until January 2019) is that it has been made harder to restore an expired trademark registration to the register. Currently, a UK registration can be renewed late, with payment of an additional late payment fee, for a period of six months after expiry. For a further six-month period, a registration may be restored to the register (after it has been removed) where the 'registrar is satisfied that it is just to do so' (Rule 37(1) of the Trade Mark Rules 2008). That rule is being changed so that restoration is only possible where the registrant is able to show that its failure to renew was unintentional. Third parties who use a conflicting mark in the period before restoration are now provided with a defence to infringement. Finally, UK trademark proprietors have now been given the right (Section 99A Trade Marks Act 1994) to seek remedies from the courts when their mark is included in dictionaries or similar reference books, and where those references give the impression that the mark constitutes the generic name of the goods or services for which it is registered. This remedy was previously available only to proprietors of EU trademarks (EUTMs). There is now a draft withdrawal agreement between the UK and EU but, at the time of writing, that has not yet been signed, and there still appear significant areas of dispute between the EU and the UK, particularly around customs arrangements. Assuming the withdrawal agreement is implemented before March 2019, it appears from that document that there will be a significant transitional period – approaching two years (during which, in essence, the UK will abide by and apply EU law). At the end of that transitional period, EUTMs will no longer have effect in the UK, and accordingly the UK will then automatically enter all existing EUTMs (pending or registered) onto the UK trademark register as new UK applications or registrations. These new UK trademarks will retain any filing data, such as filing dates, identical to the equivalent EUTMs. It is envisaged that there would be no fee payable for this process or any other action required of the proprietor of EUTMs. By this mechanism, existing EUTMs proprietors would have continued protection in the UK after exit, by virtue of being proprietors of new UK registrations as well. Nevertheless, there remain details of this transfer mechanism, and the resulting law, which have not yet been fully fleshed out or developed. This remains a key area of focus for IP practitioners. 1 Peter Houlihan is a partner at Cleveland Scott York. 3 Section 32(3) of the Trade Marks Act 1994. 6 Internet Corporation for Assigned Names and Numbers. 9  EWCA Civ 1874 (23 November 2017). 10  EWHC 155 (Ch) (6 February 2018) and  EWHC 943 (Ch) (27 April 2018). 11  UKSC 28 (13 June 2018). 12 New Section 3(1) of the Trade Marks Act 1994.